Onkar Danke: .... नाठाळाच्‍या माथी हाणू काठी !!! excellant. This is reality of abu azami. Common man should know all these things. i do not agree with "manase" reaction in vidhansabha. One can take oath in hindi. as it is national language. National things are more important than regional. this is politics because the oath is taken by person called " abu aazami? असल्या माथाळांच्या माथी काठीच हाणण्याची गरज आहे. अबु आझमीच्या ऐवजी 1993 च्या बॉम्बस्फोटात जर एखादा हिंदू असता तर तो निर्दोष सुटू शकला असता का ? किंव निर्दोष सुटला असता तरी नागरिकांनी त्याला निवडून दिलं असतं का ? अर्थातच नाही. मात्र अबुला फक्त मुस्लिम आहे म्हणून निवडून देणार भिवंडी आणि मानखुर्दमधील काय धार्जिणे आहेत ? हे काही वेगळं सांगण्याची गरज नसावी. 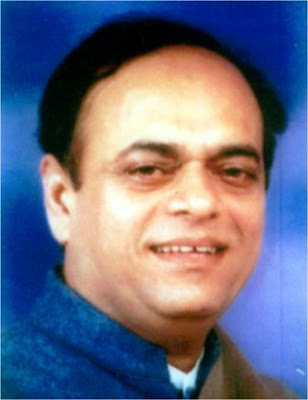 1)abu azmi is a person who will capitalise on this issue and it will help him to garner more votes in his favour. 2)mns agenda is based on language and not on religion now abu azmi will use this new language trump card to create disaffection between two communities and his agenda is simple oppose mns by using constitution as a springboard. more and more mns will fight for language oppose them by saying our constitution says different so everybody(non-marathi)including legal machinary in india will stand to condemn mns. 4)this attempt to bit mr.azmi will have severe consequences on marathi people living in other states. good one......... kharach.......!!!! ase lok aple pratinidhi mhanun nivadun jatat..... this is really frustrating some times......!!!! abu azami shows his arrogance & still 'sattadhari' kept mum. thats why i also support manase. हिंदी ही कायद्याने भारताची राज्यभाषा नाही. तर ती फक्त सरकारी कामकाजची कार्यालयीन भाषा आहे. ते अफीशियल लॅंग्वेजस आक्ट, 1963 भारत सरकार च्या कायद्यात स्पष्ट केले आहे. केवळ उत्तर भारतात ही भाषा बोलल्या जाते. भारताच्या लोकसंख्ये पेकी फक्त ४०%लोकच ही भाषा बोलतात. तसेच कोर्टात हिंदी मजकूरात त्रुटी असतील तर इंग्रजी मजकूर मान्य केला जातो.